Postmodern Pulpit is the brain child of Luke Miller. Luke grew up as a pastor’s son in Indiana and Arizona. He has lived the small church’s experience of struggling to communicate their story, and feeling overshadowed by the large churches in the community. Postmodern Pulpit was born out of a desire to give small communities a voice through a quality website where they could blog, share their sermons, and connect with their community. 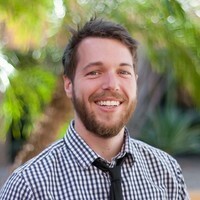 Not only has Luke worked worked in the marketing industry, but he’s also pioneering a new church community in Mesa, Arizona. Currently, the new church community doesn’t have a name, but if you’d like to follow along with their story, Luke blogs regularly at anewkindofcommunity.com.